“No-Eye” Bromas first appeared in The Zarlin Catacombs. 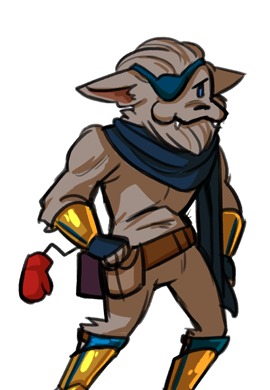 He was a Gnome Paladin who was turned into a Kobold in the Zarlin Catacombs. Wanting to be turned back to normal, he searched for Beenu who would turn him back. Bromas was last seen as a charred skeleton in Den of Devils, after being defeated by a Whelpling.